A very good trainer in terms of knowledge, a way of delivery and interaction with the participants. Also, the coordinator from KnowledgeHut was very cooperative. Excellently arranged for and managed by KnowledgeHut. Arrangements within the training hall were perfect, no glitches whatsoever. Water and stationery were provided to every individual. Food and beverages were provided in a timely manner. KnowledgeHut representative was present with us throughout the day. I would definitely attend another training organized by KnowledgeHut. Situated on the banks of river Isar, Munich is the largest and capital city of the German state of Bavaria. With the lowest unemployment rate, Munich is the strongest economy in Germany. As the economy is growing, the requirement for experts in the field of agile methodology to manage the complex projects is increasing. 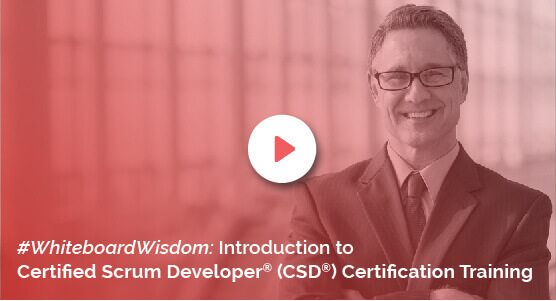 To cater to increasing demand, KnowledgeHut CSD technical track certification in Munich offers the e-learning online training in scrum agile development at a fair price. Since globalization is happening across all the industries, the need for an Agile iterative style for project management incorporating the volatile requirements across the globe has arisen, thus increasing the demand for professionals with agile scrum project methodology experience. With the advancement in technologies, Munich has brought lots of job opportunities for scrum developers. To cater to these requirements, KnowledgeHut training CSD technical track training in Munich comes as a rescue for professionals who want to grow in the field of scrum development and the certification CSD technical track certification online in Munich is globally accepted. Certified Scrum professionals have shown experience, proven knowledge in the scrum methodology for every project and are able to expand the career opportunities across all the industry with the help of CSD technical track certification in Munich. In Munich, with skilled and semi-skilled workforce availability and demand for certified skilled workforce, CSD technical track training in Munich course helps to make a difference as an advanced and experienced scrum developer. With CSD credentials globally acknowledged, scrum professionals show understanding in agile technology. KnowledgeHut CSD technical track training online in Munich e-learning online training content is created by industrial experts having experience in scrum development adding value to the skills and setting the path to success. CSD technical track certification cost is affordable and comparative in the market. Availability of online classes with eBooks, assessments, and practical sessions helps professional clarity on the subject matter, giving them the flexibility to learn online on own time schedule and prepare for an exam.